"Love Yourself For No Reason” book competition! Stand a chance to win a copy of "Love Yourself For No Reason”! 1.1. The Afternoon “Love Yourself for No Reason” book Competition (Competition) will be run by Cardova Trading (Pty) Ltd in association with Mark Khan. 2.1. Entries for the Competition will open at 17h00 on Monday, 21 November 2016 and will close at 23h59 on Monday, 21 November 2016 (Competition Period). 6.1. 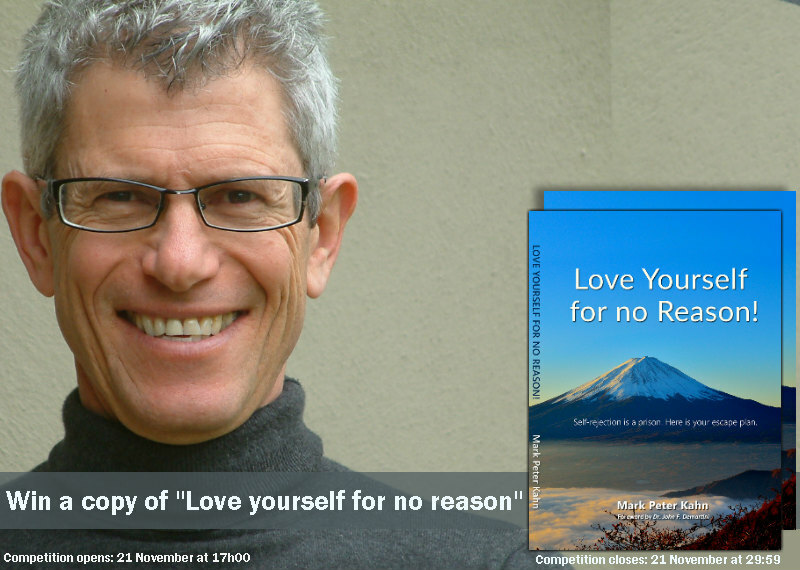 1 (One) Winner will receive a copy of the ‘Love Yourself for No Reason’ book by author Mark Khan.